Having tons of fresh produce each year is definitely a plus to planting a garden, but sometimes it’s hard to use up all of that goodness! 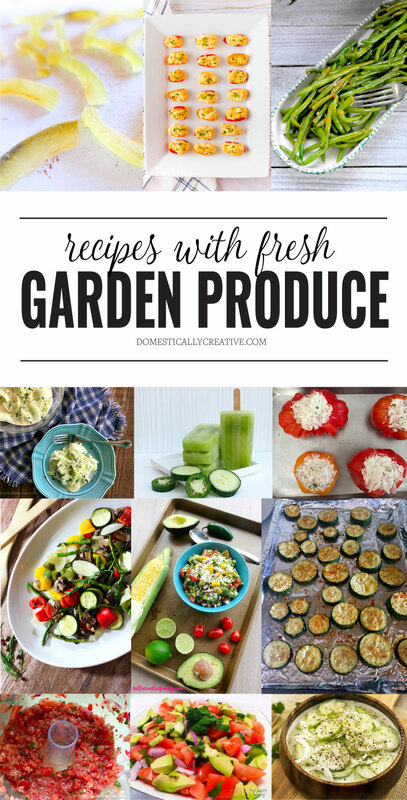 Here’s 12 delicious recipes using fresh garden produce to help you out! Thanks for featuring my candied watermelon rind!